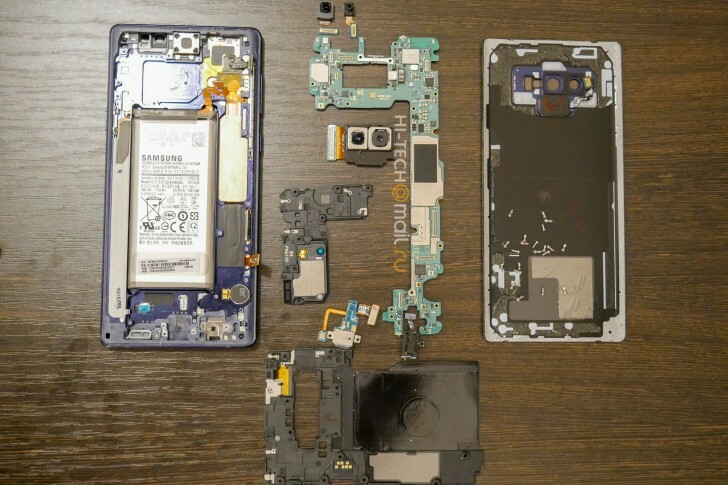 If you simply can't have enough Galaxy Note9-related news today, our next item on the menu is a teardown. Although the phone has only been official for a few hours, some enterprising folks in Russia have already torn it down and compared its innards to those of its predecessor, the Note8. The Galaxy Note9 packs a bigger battery as you know, but it still has the same cell density - what with Samsung wanting to avoid another Note7 fiasco on its hands. That means the new model's battery takes up more space inside than the Note8's, and yet the two are overall very similar in size. 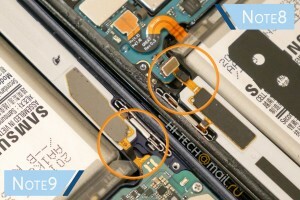 That magic has been achieved by shrinking the other circuitry in the Note9 to accommodate for the larger battery. The S Pen housing inside the phone is more sturdy this time around and less likely to break. The USB-C port is easier to replace, and cheaper too, since the whole motherboard doesn't have to be removed when doing that. The board itself is slightly smaller than the Note8's, while the speaker is larger in size - which theoretically should result in better (and louder) sound. 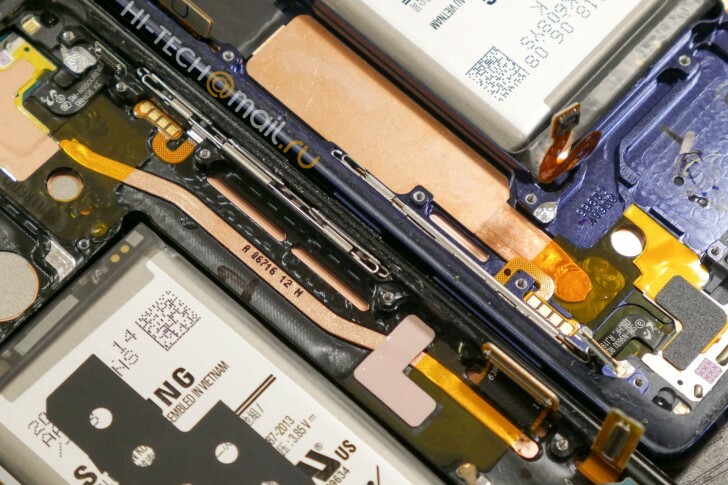 The most interesting bit about the Note9's internal construction is the huge copper plate that's used to dissipate heat. While copper tubes are commonplace in high-end smartphones nowadays, the sheer size of that plate means the new device is going to withstand more heat from the SoC, which in turn should result in thermal throttling happening less than in other phones (and also occurring later). Overall, the Galaxy Note9 is quite different on the inside than the Note8, despite their very similar appearance on the outside. Repairability is better too, and the cost of replacing some components went down. The curved screen is the obvious weakest point in that regard, it's still a very expensive element to swap. Then again it is an amazing panel so maybe in the end the risk is worth it. It's a marketing gimmick for "bigger heat pipe". It's sealed inside the heat pipe, the long narrow strip shaped thing which is used to transfer heat from one place to another. The plates themselves contain no liquid, they're used to absorb or dissipate the heat on either end. they say 'water carbon cooling system', is there actual water inside this phone?